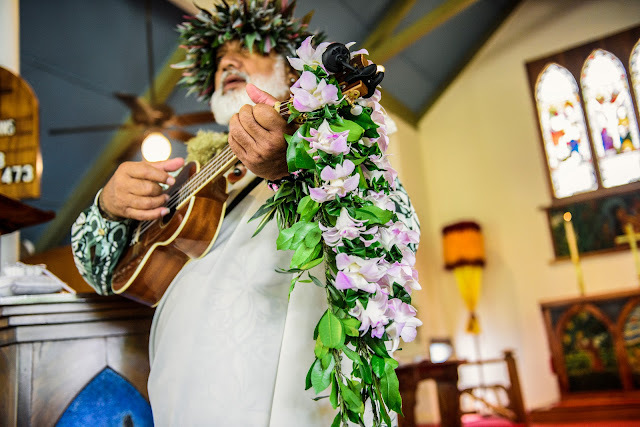 Huppa's or arches with floral designs and fabric are always a favorite for a well heeled Maui wedding. 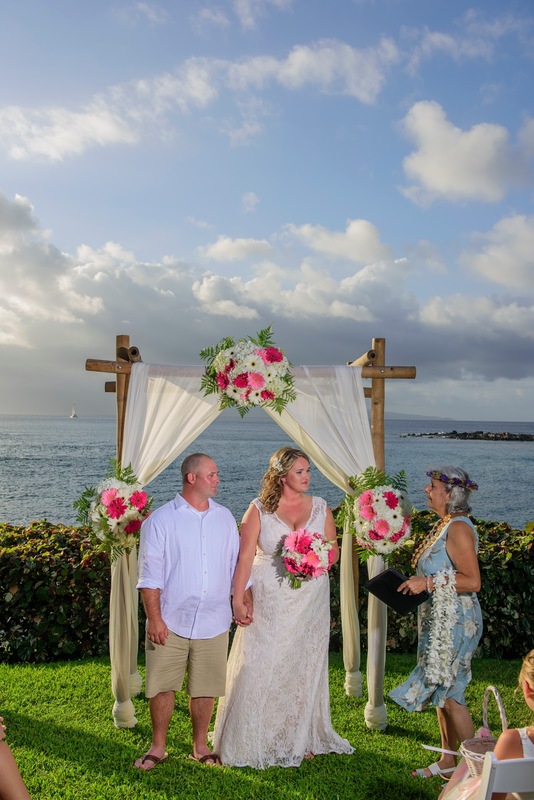 The well designed arch provides a classy backdrop for a romantic ceremony overlooking the Pacific ocean and the other islands surrounding Maui. 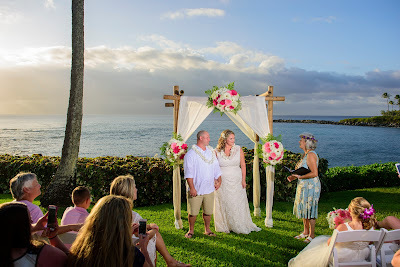 While we can't provide arches for our Maui beach weddings anymore, there are numerous spectacular private and semi private locations that are perfect for this bit of glamorous staging! 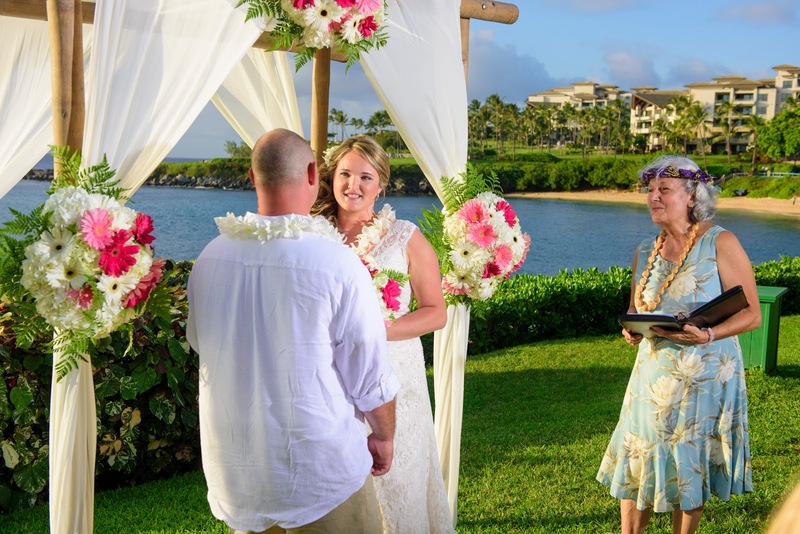 Our professionally designed arches come with one, two or three gorgeous floral arrangements that will match your Maui wedding bouquet. After the ceremony we will cut those arrangements off the arch and place them on your table for your reception dinner. This way you get two uses for the price of one! 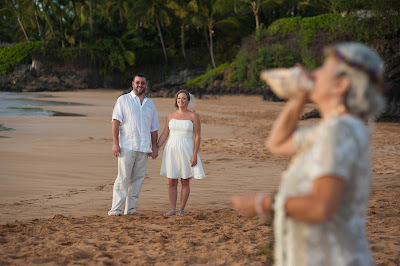 Your Maui wedding coordinators can advise you of your options regarding private and semi private locations. The semi private locations have lawns overlooking the ocean, ample parking and a restaurant on location. If you don't mind sharing your reception site with other diners you will find this option relatively inexpensive. There's plenty of parking for your guests and everything is in the same location. 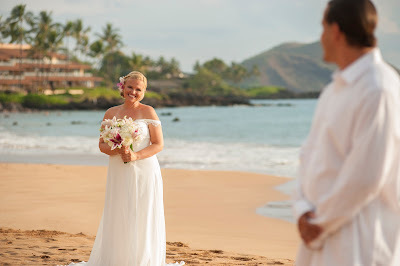 Most of the semi private venues on Maui have access to a beach so a photography session on the beach is possible after your ceremony. If you go for a private estate wedding, expect the cost to be higher and you will have to have it catered. Ask your Maui wedding planners about the venues that are available. Either way, an arch or huppa adds an elegant dimension to your Maui Wedding.